"I thought you died!" / "No, don't worry, I didn't; I have life insurance!" @theodraxis Okay. I understand. So is anyone&apos;s morals acceptable as long as they adhere to them? Is morality absolute or subjective? Theres.life suddenly started working again! I&apos;ll be back on my instance. @vicorva I was trying to make an AI that sounded lifeless, so it referred to itself in the third person and present tense. @vicorva When I was writing my nanowrimo book, I kept doing that because I was doing a special effect with a specific character. How do I backup the database of a Mastodon instance using docker (especially when I can&apos;t start Mastodon with docker). @dansup What exactly is Laravel in a sentence or two? @dansup I built a simple chatroom with PHP (using text files). So I know some. I also am building the backend of another program in PHP. It is just that Mastodon and diaspora* both use Ruby on Rails. 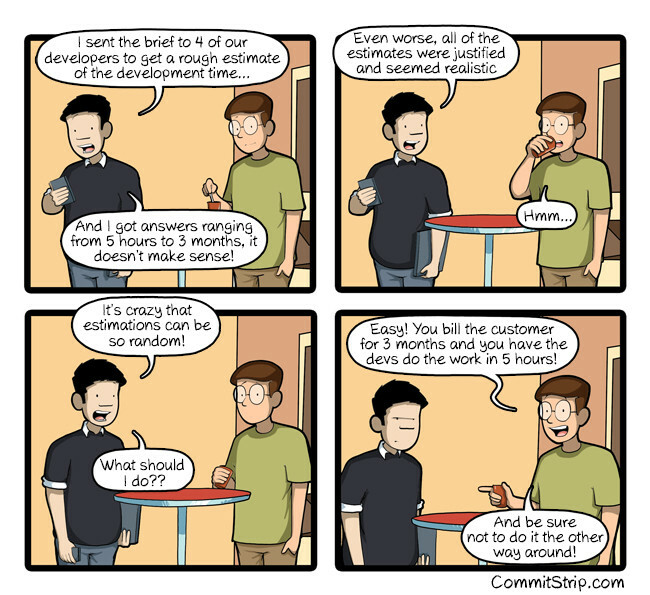 You cannot accurately estimate development time. @dansup Wait, is PHP the best language for something like this (in your opinion). I would like to try developing something that would allow people to create accounts, upload information about themselves, and possible share data with each other via APIs. Whether or not I actually do the actual programming or not, I am going to see if I can write up some specs for it. But if I were to write it, what language is best for web apps with users like that? Can I do a completely different install process and not loose any data? Just wipe everything on the software side and reconnect it to the database and everything will be fine? I can&apos;t even reinstall Mastodon for some reason. 😬 I don&apos;t know what to do now.